What reflection sphere? I dont knwo what do you mean.. You can see bottom reflect works, but no reflect from environment..
this was only for testing purposes. If reflections will work only on these objects, how should i use it on not simple objects imported from MAX? These spheres are only for capturing reflection, other objects uses this objects's reflections for reference for what it should reflect. Put this in the scene as well as normal models that need to be reflected. 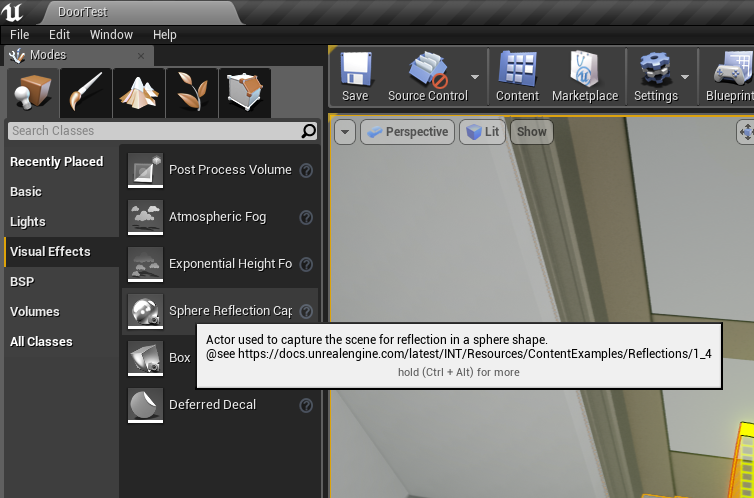 Sphere reflection capture influence radius not working under mobile preview shader.